Recently I was discussing the Invisible Rail with a colleague. It is a rarely-seen bird that was first collected by Alfred Russel Wallace in the late 1800s. It is found on only the island of Halmahera in the North Moluccas of Indonesia. I explained to my colleague that the discovery of the Invisible Rail on a second island was something of a mystery given that the bird is presumably flightless. “What makes you think that the Invisible Rail is flightless?” he asked. As a group, rails have a remarkable inclination to arrive on islands, loose their ability to fly, and then evolve into a form that is distinctive from other rails. If they have come to inhabit an island with no ground-dwelling predators, and lots of food on the ground, then flight is rather a waste of precious energy. 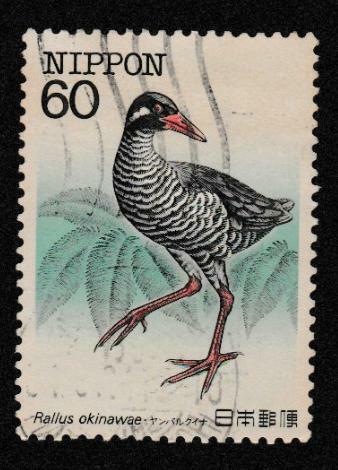 Since flightless rails on small islands often have small populations, and because recently-introduced predators are a common feature of islands, many rail species are under threat, and others have already fallen to extinction. Because so few ornithologists live on tiny islands, flightless rails are also a poorly-known group. One of the very first requirements of a successful conservation program is a thorough understanding of the natural history of the threatened species. To this end, Shun Kobayashi of the University of the Ryukyus and twelve of his colleagues studied the diet of the endangered, almost entirely flightless Okinawa Rail. This bird is found only on the northern part of Okinawajima Island of Japan. A thorough study of the diet of an endangered, ground-dwelling forest bird is not necessarily easy. Direct observations are likely to be hampered by the undergrowth, and sacrificing individuals to examine their gut contents is clearly not an option. Instead, Kobayashi and his co-workers examined the contents of the gizzards of 189 Okinawa Rails that had been killed by introduced Indian mongooses or traffic accidents. The gizzards examined revealed a very large range of animals eaten, as well as eighteen species of plants. Among animal prey, four species of snails were particularly common. Insects, mainly beetles, grasshoppers and ants, also contributed greatly to the diet of these birds. The researchers did not hesitate to describe the Okinawa Rail as “omnivorous.” The study made it clear that these rails forage in more than one habitat type, as their gizzards contained millipedes from both open fields and forest edges, as well as hermit crabs that live on the coast. The abundance of land snails in the Okinawa Rail’s diet distinguishes it from other rails. 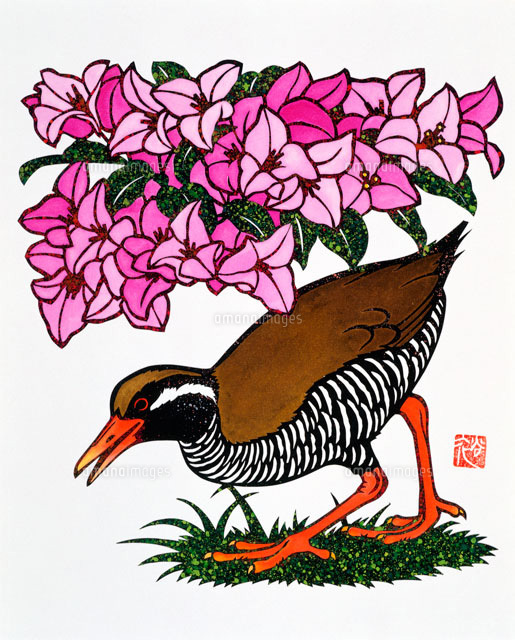 If Kobayashi and his colleagues had discovered that the Okinawa Rail had a particularly narrow diet, eating only the flowers of a very rare plant for instance, the bird’s long-term prospects might be less favorable. Finding that the rail is capable of exploiting a wide range of food types is one step forward in efforts to ensure the bird’s long term survival. In the next installment of A Traveller’s Guide to Feathers, you will find more about the wonderful work being done to conserve Japanese wildlife. Kobayashi, S., et al. 2018. Dietary habits of the endangered Okinawa Rail. Ornithological Science 17:19-35.